Learn how to sustainably and ethically wildcraft from within your landbase. 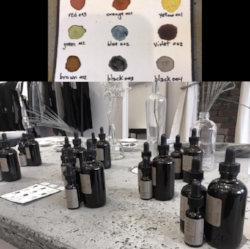 You will learn what plants will give you colours to use for natural dyes, and will also learn how to set up a dye garden at home! You will also learn about mordants and modifiers you can make from wildcrafted materials. Anyone with an interest in natural dyeing.